​Olivier Giroud has opened the door to a potential return to France amid his lack of regular playing time at Chelsea. The 32-year-old has scored 15 goals in 52 appearances overall since joining ​Chelsea from London rivals ​Arsenal in January 2018, but the arrival of ​Gonzalo Higuain this season has seen the Frenchman fall further out of favour at Stamford Bridge. 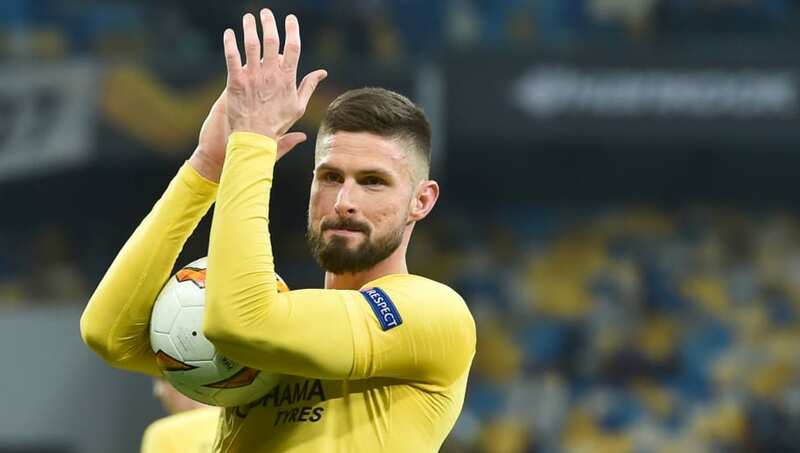 ​Giroud is out of contract in west London at the end of the season and has been linked with a move to Ligue 1 side Lyon, and the striker told ​​Telefoot of the rumours: "It's a possibility. But I didn't make any calls. I'm happy in England.